Gurgaon is one of the fastest emerging residential property in Sector 24 Gurgaon hotspots in the country, presenting a seamless blend or residential and commercial properties. 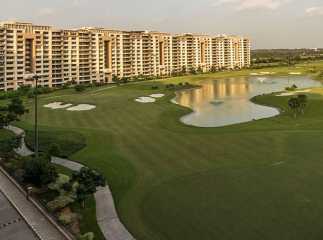 Especially, the demand for property in Sector 24 Gurgaon has increased manifold in the last few years. A large number of investors are investing in the apartments in this area. Several developers have come up with sophisticated housing estates in the region. With a parallel growth of infrastructural projects in the area, homeowners are moving to the flats in Sector 24 in hundreds. Several families have already moved to the apartments in this region, while others are following the suit. The proximity of the area to Delhi has further increased the importance of projects in Sector 24 Gurgaon. For investors and homeowners, this is the right time to buy the properties in the area, as the prices of quality homes are on the rise. People looking for ready to move projects in Sector 24 Gurgaon for commercial purposes or personal use should buy the apartments now.